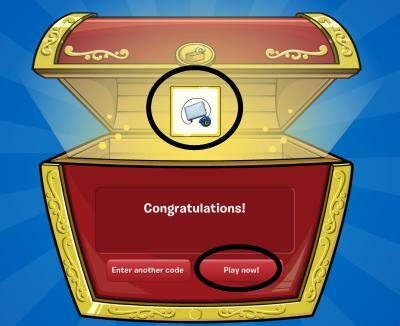 Today I went on Club Penguins blog to see what new things were coming to Club Penguin, and found that three new parties will be held over the summer...yay!!!! So yesterday the Club Penguin Team posted a sneak peak of one of the parties. This picture (below) is the first party that will arrive in Club Penguin for the start of summer. Do you have any ideas of what the part will be?! I do! I bet you all know that the famous movie Monsters University is coming out to theaters soon right? Well if you look at the Monsters University flag below, you will see an exact match of the picture above! My guess is the party will be on that movie! I am so exited! Do you guys have any other ideas on what the party may be? If so be sure to comment below. I would love to hear your ideas! what happened to u guys u never are on anymore i miss this website did you move or what? The second party is STAR WARS!!! ur welcome! I think the second party might me about TURBO it's about about a snail who dreams about being fast and he fell in a car engine and it happened so they might put speed stuff on penguins that makes them faster or have a suit for snails and missions to be really fast! !